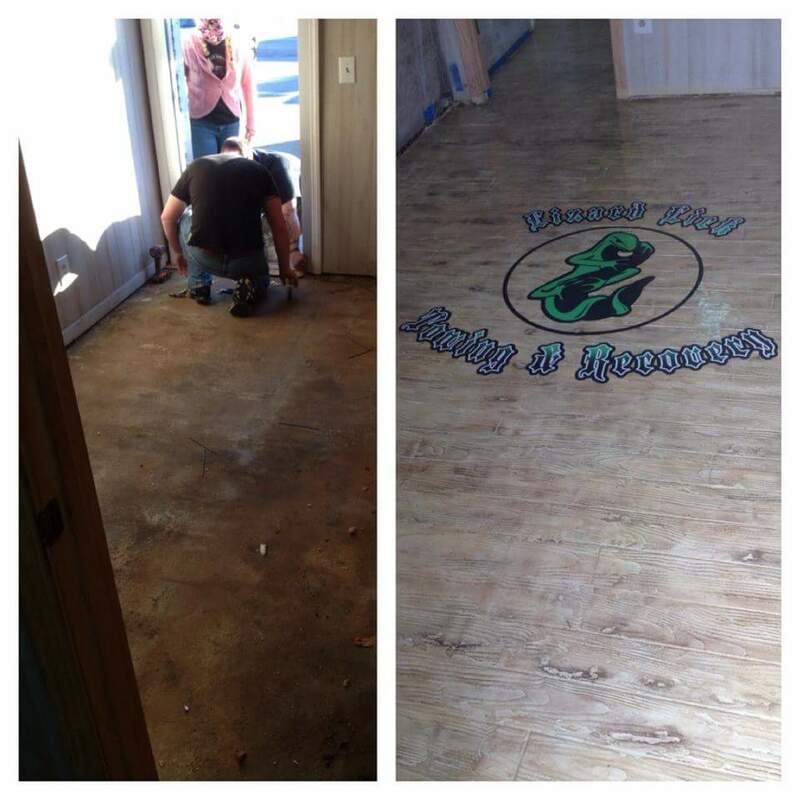 This floor was on national television…”True TV”…the tv program was …”Lizard Lick Towing”…we used a concrete overlay system hand colored the floor with acrylics and dry accents to make it look like wood , put a 3M logo on top of it and used Versatile 5350 urethane over the whole floor….this came out amazing!! Thanks Versatile! !